Since receiving my student loan a few weeks ago I have been in and out of Primark countless times picking up random pieces that lets face it I don't really need. But, I don't even remember the last time I was in Primark shopping! so let's just agree to disagree that this was an impulse/well needed shop. Surprisingly I didn't purchase any clothing items but I did somehow purchase a variety of other random things that were just too cute to leave! 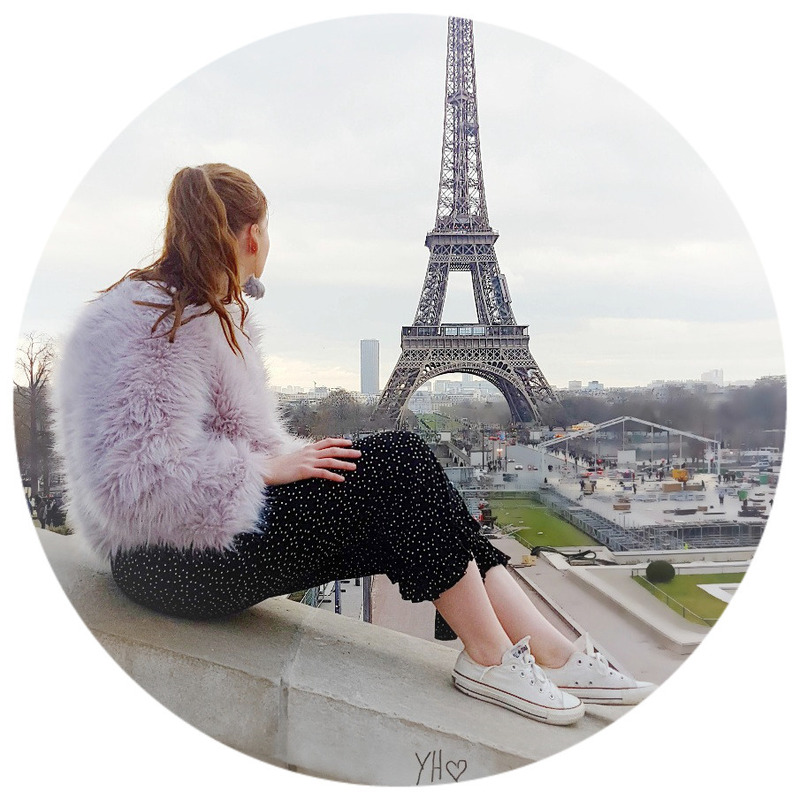 You can imagine my envy when I saw numerous bloggers Instagram there Disney pyjama bottoms from Primark and I was unable to purchase any until student loan day! Of course when that day arrived hallelujah! I was straight at the pyjama section of Primark for these Bambi bottoms! These are the most comfiest bottoms ever and are well suited if you don't like bottoms that can easily roll up your legs during the night. Of course since the weather is getting a bit colder slippers are essential. I picked up these blue spotted print slippers just to lounge around the house in, and obviously these are very comfortable and snug! Wanted this macaroon bag for absolutely ages but nowhere had it in stock until I cornered it at one of the tills! good eye spotting Katie. I love this it is incredibly pretty and cute - I originally picked this up for my makeup but, I gave it some thought and realized it might make a cute little pencil case. I don't think I have ever spent so much time on being indecisive over a pair of shoes. I was constantly picking them up then down tried them on plenty of times! UNTIL I finally decided I needed them in my life. These are very quirky and not something I typically go for but I love cutouts any shoe with a cut out I will lean towards. I have worn these a few times and they are super comfortable and can really bring an outfit together. Candle holders & coconut and vanilla tealights £1.50/£2. Whenever we get even the slightest bit of cold I go crazy over stocking up or more like gathering a collection of candles. I needed a few tealight holders anyway's so I could burn more so these were the two I picked up. These are very cute and will definitely be getting used! The half a birdcage would make a nice ornament as a plus. Coconut is one of my all-time favourite scents so I wanted to grab one of Primarks massive packs of tea lights just so I could light lots of them in my room and have my place smell of coconut! What have you been loving in Primark?? Love this post! I need those PJ's in my life! And the make-up bag! They are super comfortable as well! that makeup bag I use for my pencil case so its always nice to see when I am working! You've got some lovely bits. I especially like the shoes, they're so unique. It's a good job you decided to get them in the end! Makes a great pencil case or makeup bag! I know Primark are doing well for me! 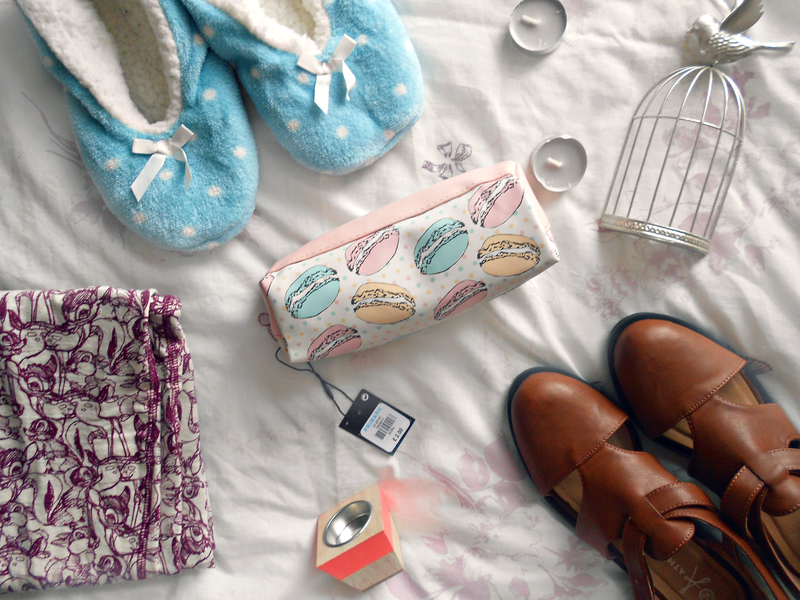 I'm going for a much needed Primark trip tomorrow and I cannot wait, they have some gorgeous things in at the minute! I love those brown shoes! let me know what you get! and thank you I am glad I decided to buy them because they are so comfortable! I need to get hold of those shoes! so glad people like them as I really was not sure! Oh how adorable is that Macaron case! It sells so fast and comes in different sizes! it seems to be very popular at the moment as it is never in stock! Primark is amazing lately! Love your buys! I agree! it is rare I go in Primark and find so much amazing things! Lovely items, the macaron travel bag is too cute! they are so snug I need some more as I literally wear mine all the time! I've been loving there skirts so much at the moment, they're so comfy and fit great (you can see them on my blogpost!) I'm loving those shoes you've got, they're absolutely gorgeous! Its lovely shoes so cute slipper very pretty nice collection thanks for sharing. safety officer courses in chennai|Industrial safety training institute in chennai |diploma in fire and safety courses in chennai|Iosh ms course training in chennai|nebosh courses in Tamil nadukeep posting.